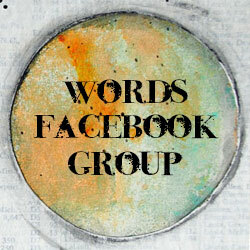 Often in Bible study we make note of words that are repeated. Repeated words and phrases will often point us to the things that the author feels are significant to the reader. Repetition generally catches our attention. 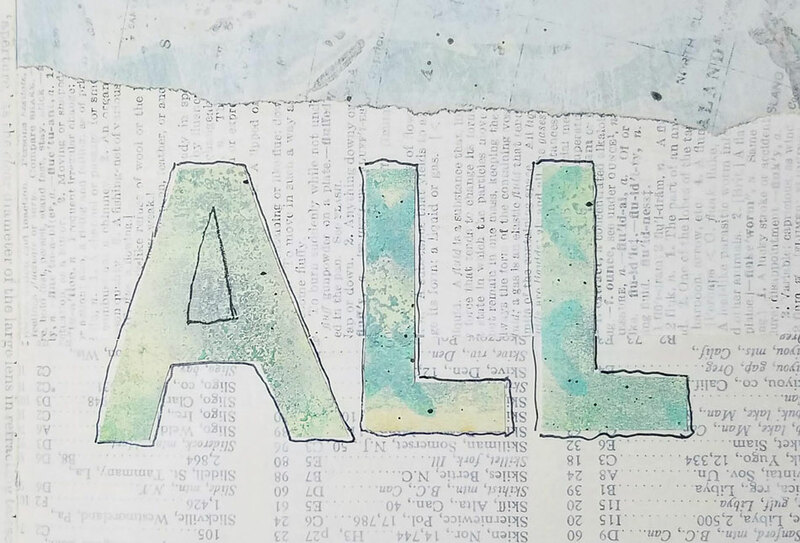 Our word today is "all". A very small, often used word, that doesn't always hold a lot of meaning when we use it in everyday life. But we will see that Paul's use of this word in his letter to the Colossians holds great significance to the theology that He wants them to fully grasp. "Christ is all, and is in all." I will give you a complete list of all the verses where Paul uses this word at the end, and will mention some of them throughout this post. But there is one passage in particular which gets to the heart of the matter, and which uses this word more often than in any other passage in the entire book, and it's used in every verse of the passage. 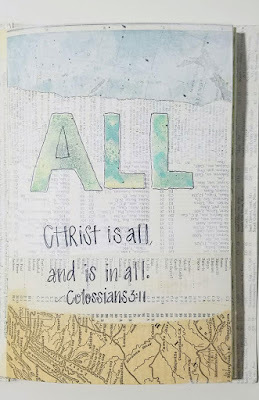 Let's dig into Colossians 1:15-20 where Paul uses the word "all" (pas 3956 in Greek) 8 times. I appreciate Paul's approach lifting up the supremacy of Christ. 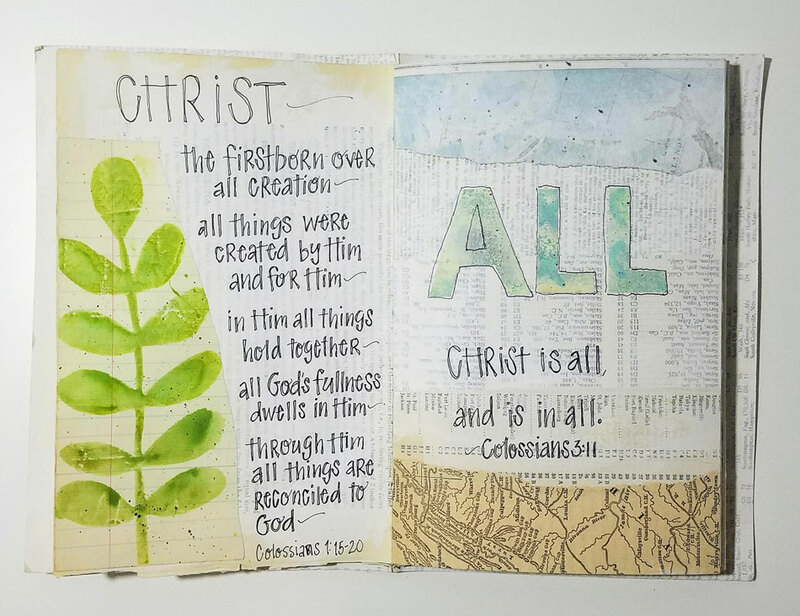 This passage is divided into two sections: Verses 15-17 highlight Christ's supremacy in creation, and verses 18-20 highlight His supremacy in redemption. Jesus Christ, the Son God loves (1:13) is the very image of the invisible God. This is a reference to the Incarnation. In Christ Jesus, we see God made visible. We see God! Christ is the firstborn over all creation, meaning He is preeminent; He holds the highest position; He is unique and exalted. 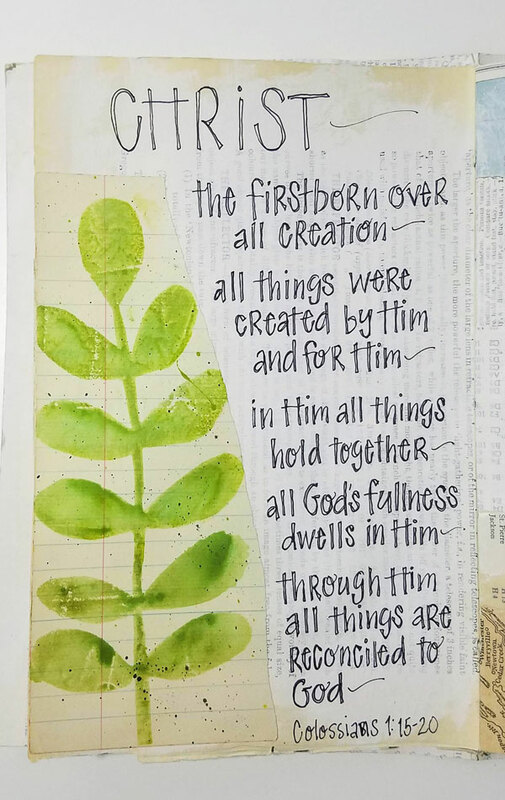 He also created all things- and to make this very clear Paul describes the scope of the things Christ created: "things in heaven and on earth, visible and invisible, whether thrones or powers or rulers or authorities." (1:16) Paul goes on to say that not only did Christ create all things, but all things were created for Him. All things in creation exist to please and exalt Christ. 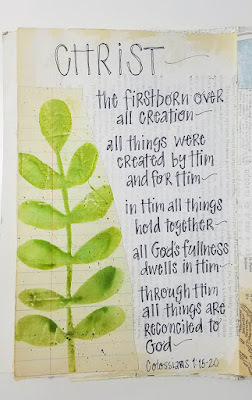 And in Him all things are held together - sustained and cared for. And now, in the age of redemption, Jesus is the beginning, the source of life for the people of God, the church, His body. He is the head of His body here on earth. He is the firstborn from among the dead because it is through His resurrection that we have this new life. All this so that He might have the supremacy - the first place in everything -in all things! 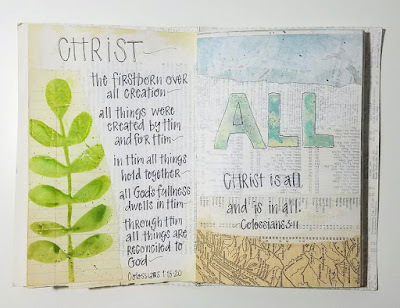 Christ holds that place of supremacy, the place as head of the church, the place as Creator and Redeemer of all things because "God was pleased to have all His fullness dwell in Him" (1:19). The totality of God resides in the Son. Christ holds all the divine attributes of the Father in Himself. 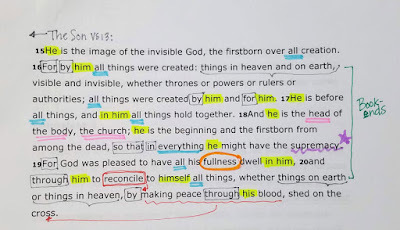 Because Christ holds all the fullness of God, then "through Him" he is able to "reconcile (redeem, make peace with) to himself all things..."(1:20). Paul then uses the phrase "things on earth or things in heaven" here, as he did in verse 16, to describe and emphasize the scope of Christ's reconciliation. 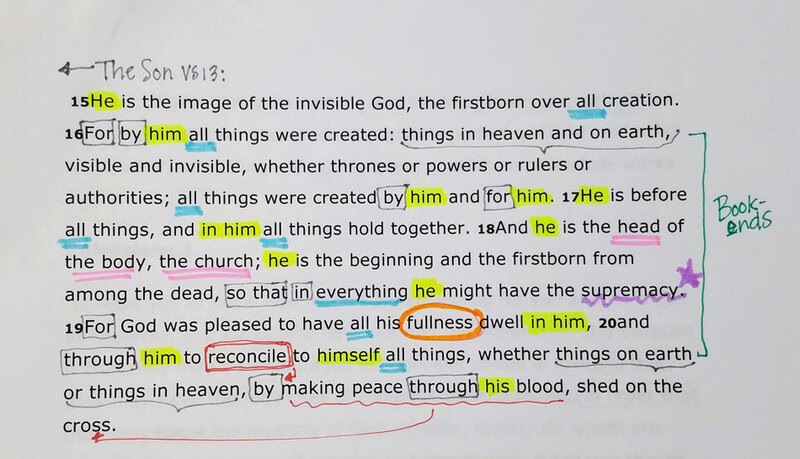 Through Christ, God has reconciled all things to Himself, "by making peace through His blood, shed on the cross" (1:20) - We'll dig deeper into this in a few days when our word is reconcile. :...that they may know the mystery of God, namely, Christ, in whom are hidden all the treasures of wisdom and knowledge." Colossians 2:2-3. Paul makes clear that in Christ is all wisdom and knowledge. We do not need to look or search anywhere else. Christ holds all we need. "Here there is no Gentile or Jew, circumcised or uncircumcised,barbarian, Scythian, slave or free, but Christ is all, and is in all." Colossians 3:11. The Colossian church was made up of Jews and Gentiles (non-Jews). Many of the false teachings had to do with combining Jewish traditions, such as circumcision and observing Jewish laws and festivals, with Greek philosophies and customs, and ideas of the culture. Each group would hold up that the other must include their practices and beliefs in order to truly have God's favor. 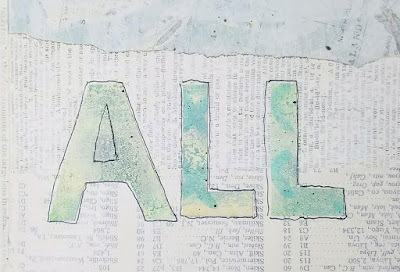 Paul reminds them, again, that Christ is all they need - He is all everyone of them needs, regardless of position or ethnicity or observance of practices and rituals. "And whatever you do, whether in word or deed, do it all in the name of the Lord Jesus, giving thanks to God the Father through him." Colossians 3:17. Our response to all that Christ is and all that He has done, is to do our all (word and deed) for the glory of His name. All 30x (pas 3956 -all, every, everything) - 1:4,6,9,10,22,15,16,17,18,19,20,23,28; 2:2,3,9,10,13,19,22; 3:8,11,14,16,17,20,22,23; 4:7,9,12. So rich, Mary! I wanted to shout, "Hallelujah!!!" Thank you! Every day has been so wonderful, uplifting and deep. I am learning so much through your gift of teaching, Mary. I soooo need this as the cry of my heart has been for some time to go deeper in God and to draw closer to Him. God is using you to help me do that. Thank you.